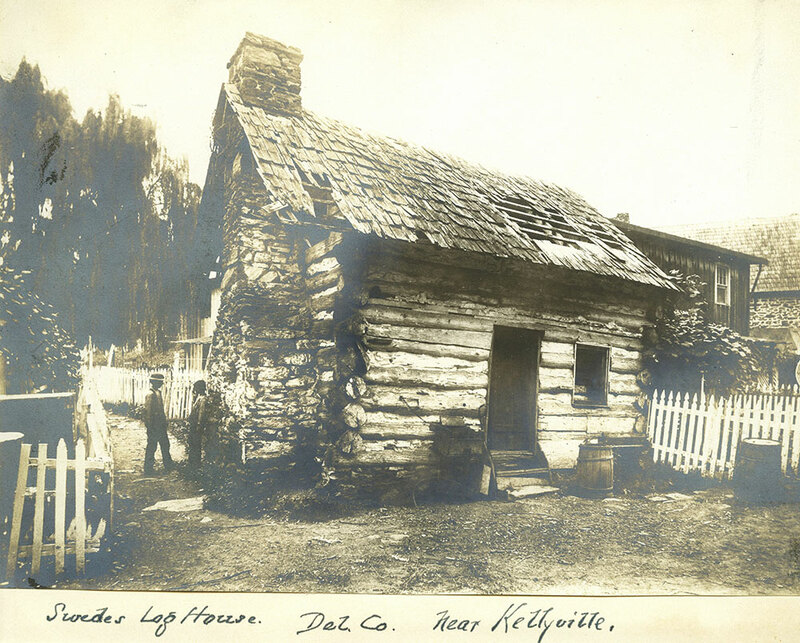 Swedes Log House. Del. Co. near Kellyville. Title: Swedes Log House. Del. Co. near Kellyville. Shows the historic log cabin built by Swedish settlers on Darby Creek, in a dilapidated condition.